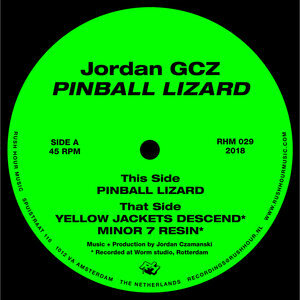 Amsterdam based producer Jordan 'GCZ' Czmanski wears many hats, whether as part of Juju & Jordash, Magic Mountain High or as part of Mullholland Free Clinic with David Moufang. He now makes his solo debut on Rush Hour with this awesome EP of neon treasures. 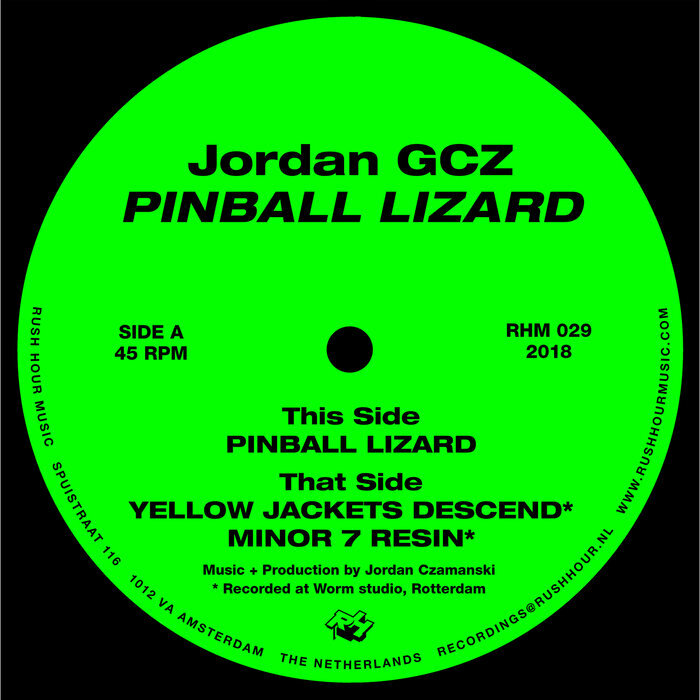 From the funky old school techno vibe of "Pinball Lizzard" with its wayward melodies and cracking rhythms - on what the label best described themselves as - a multi-ball dancefloor battle against the Grand Lizard.